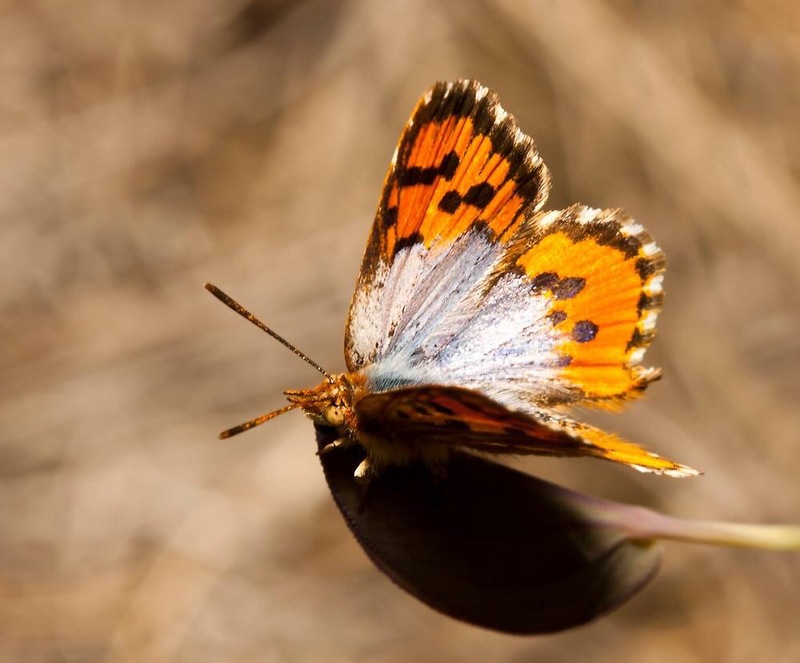 mpe 65 macro lens | Plants, butterflies, cameras and things! 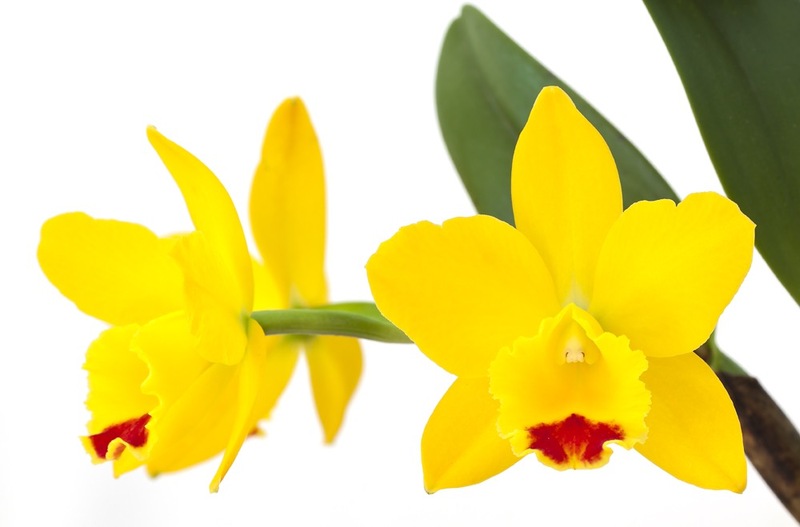 This is a wonderful time of the year with Spring here in the Southern half of the planet and so a few more orchids….. 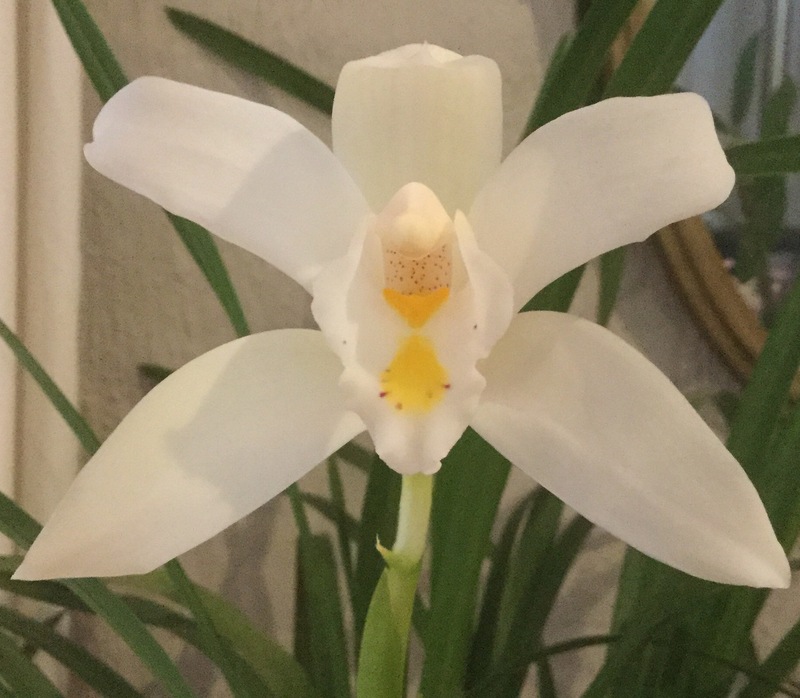 The first, an epiphyte from Northern India, Coelogyne flaccida. 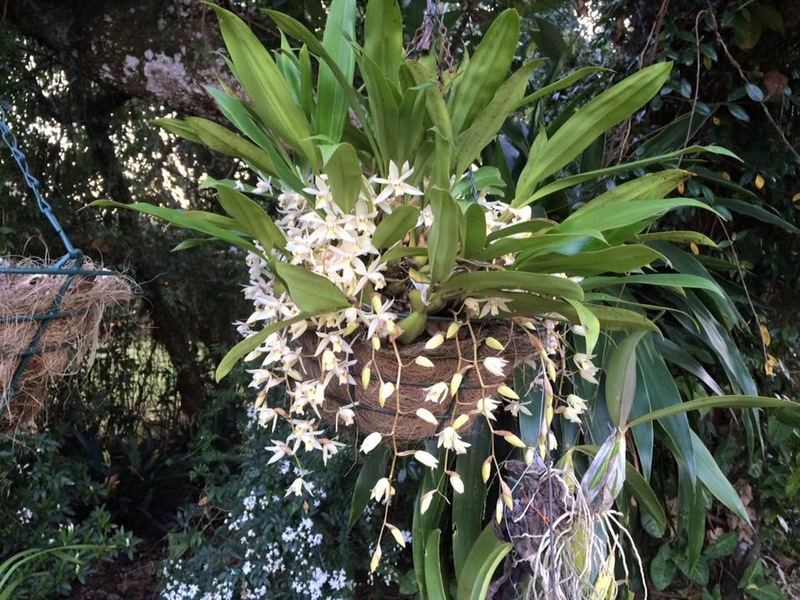 This plant has beautiful cascading flowers in early Spring and is great in baskets. 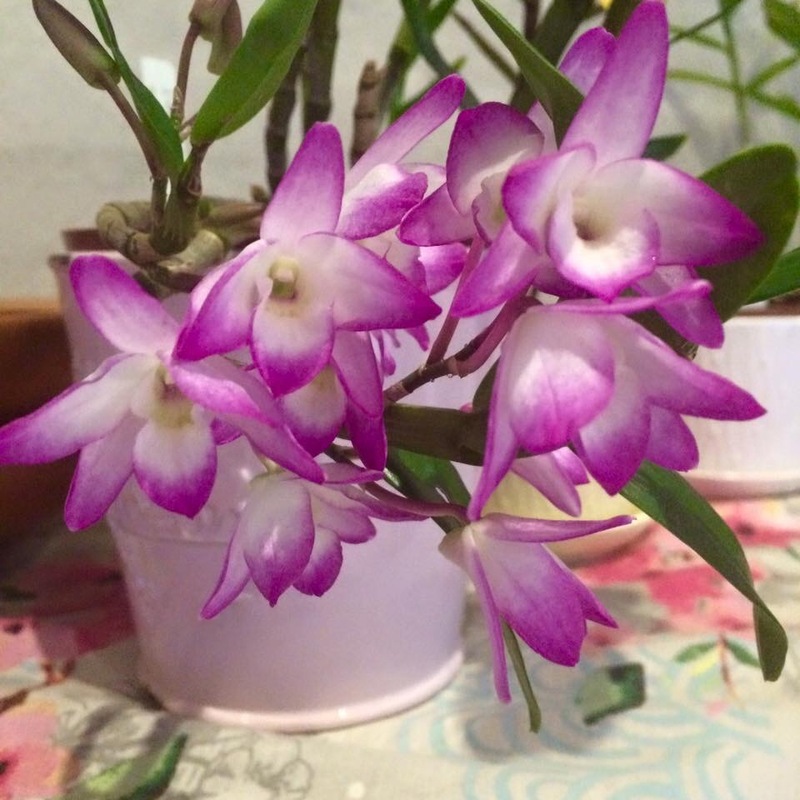 And finally a Dendrobium hybrid, D Sakura, a very easy growing and flowering plant. Chrysoritis orientalis, the Eastern Opal, a beautiful and rare insect from the Southern Drakensberg. I first heard of Chrysoritis orientalis many years ago when I first became interested in butterflies. My friend, Harald Selb, spoke of the Opals as if they were at the top of the butterfly chain of beauty. I would argue that he is not far wrong. 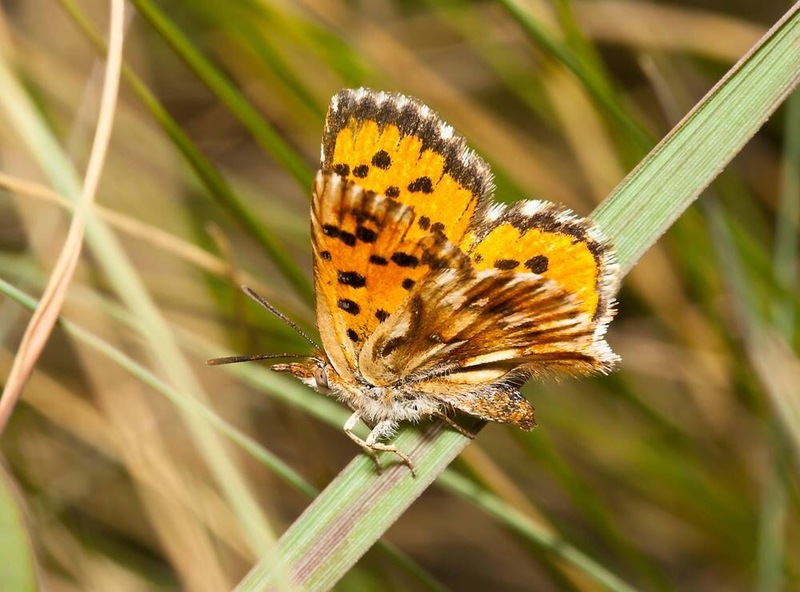 I would have to wait a while before being introduced to this beautiful family of butterflies, a genus fairly common in the Cape but less so up here. 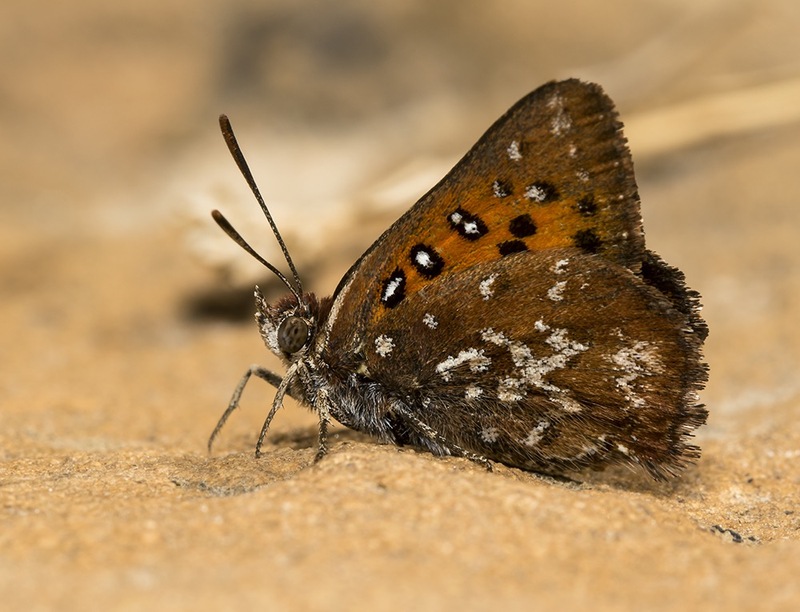 Anyway, the insect under consideration was discovered by Swanepoel in the Bushmans Nek area of the Southern Drakensberg in 1975. My first trip after the insect was in December 1992 when I made the trip up the the colony with Clive Quickleberge and Harald Selb. Despite finding interesting insects such as Neita lotenia and Seradinga clarki we did not meet the beautiful opal. Over the years I made a number of trips up with my, then to be, wife, Tracey on these trips I collected a few specimens. 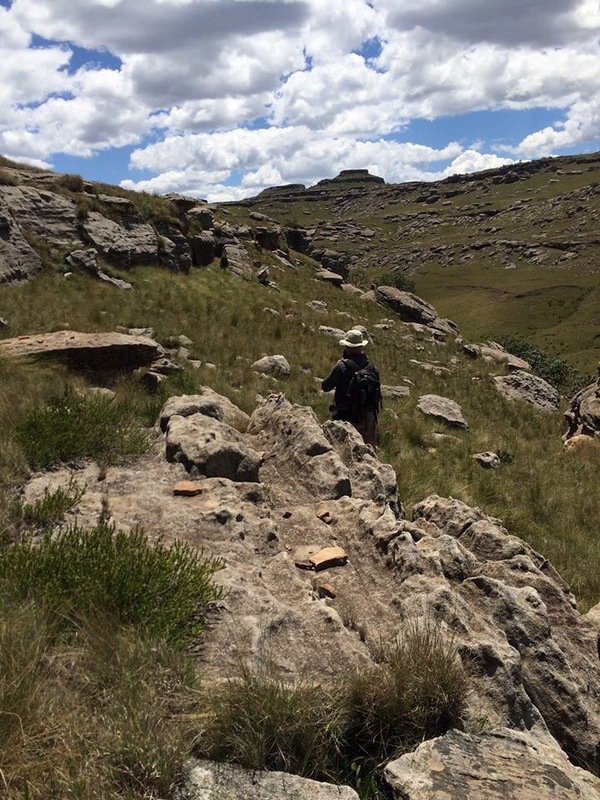 Later, in 1996 I climbed the hill with Alan Heath and Tracey and I found larvae of the insect and we were able to identify the ants associated with it as well as the food plant. I also had the unique privilege of thing the first person to see one of these insects emerge from its pupa. 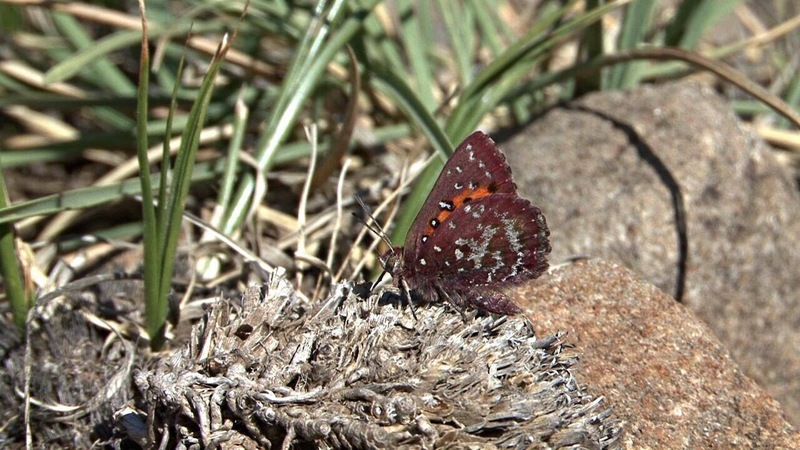 Since the collecting trip with Alan I have wanted to photograph the butterfly. 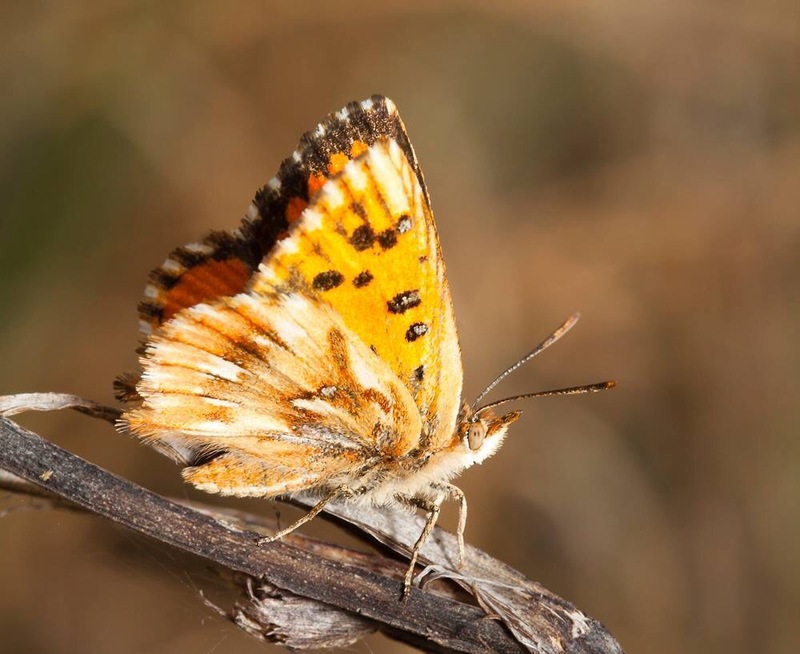 A trip up with Clive Curtis in Dec 2013 resulted in our seeing one tattered female. This year we hoped would be different. 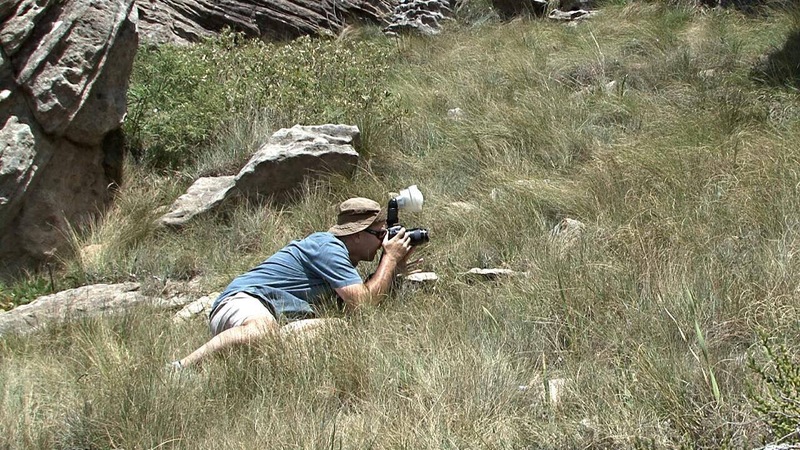 Clive wanted stock video footage of the insect and I was after images of the insect. We planned a trip up in early November, it was very dry but the area had seen snow recently and we hope that this moisture might wake everything up. The area is prone to thunder storm activity from mid day so we decided to meet in Howick at 05h30 and get up the hill as early as possible. We got to the Bushmans Nek Hotel just after seven and were at the colony at half past eight. 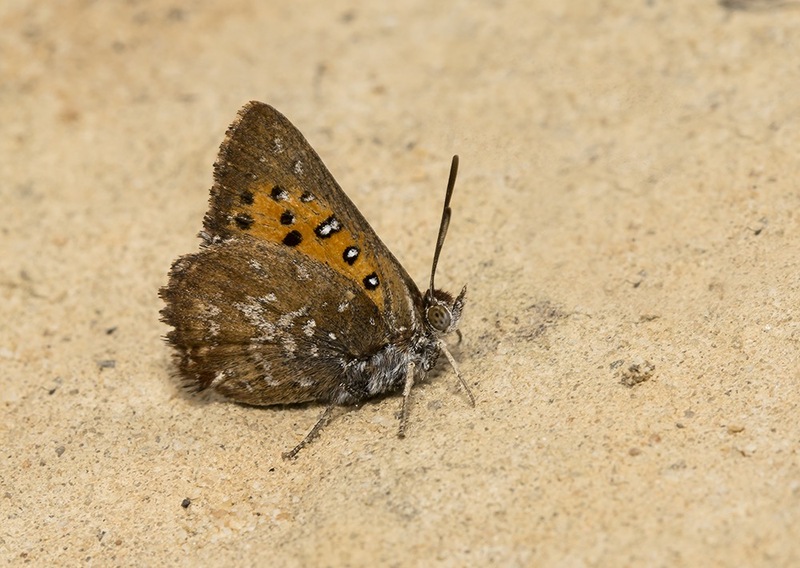 On the way up I received a text message from Steve Woodhall asking for male upperside images for his upcoming e-book. 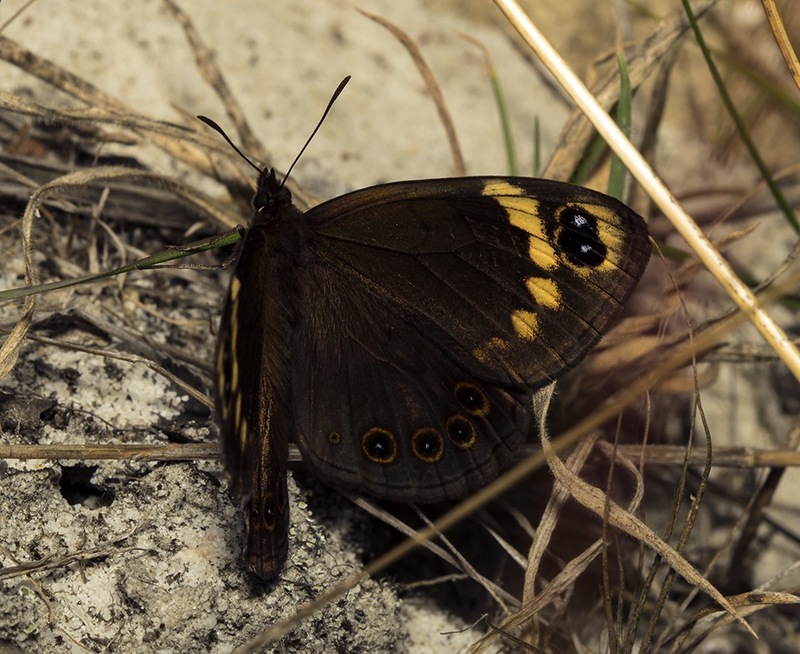 We checked all the ridges and came across Aloeides penningtoni in a number of spots. 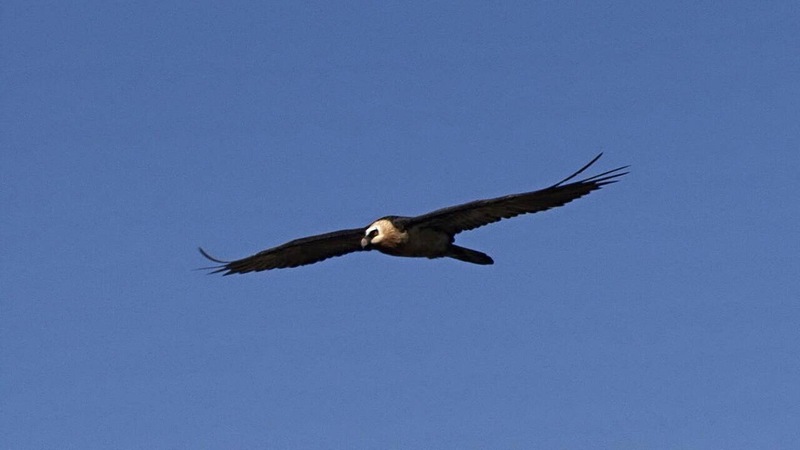 While at one of these spots filming and photo the A penningtoni we were treated by the appearance of a pair of the rare Bearded Vulture that flew low over us, I suspect two blokes lying on the ground might look very appetizing to these birds. This was a real treat. On arriving at the colony we began searching for the insect. Within minutes we had the first sighting and the fun began. The colony was in full flight. 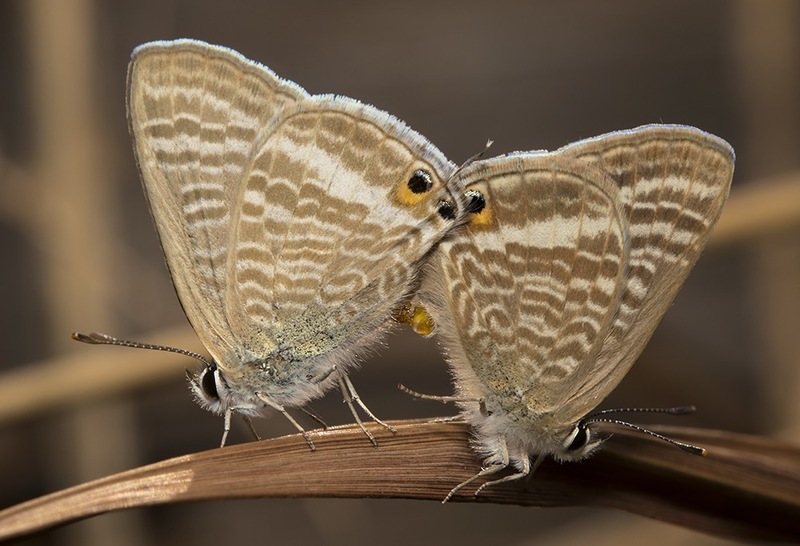 We spend the next three hours filming and photographing the butterflies. Here are some images. The view from the colony looking South. A very successful day was had by both Clive and I, the sore! Tired legs were worth it! 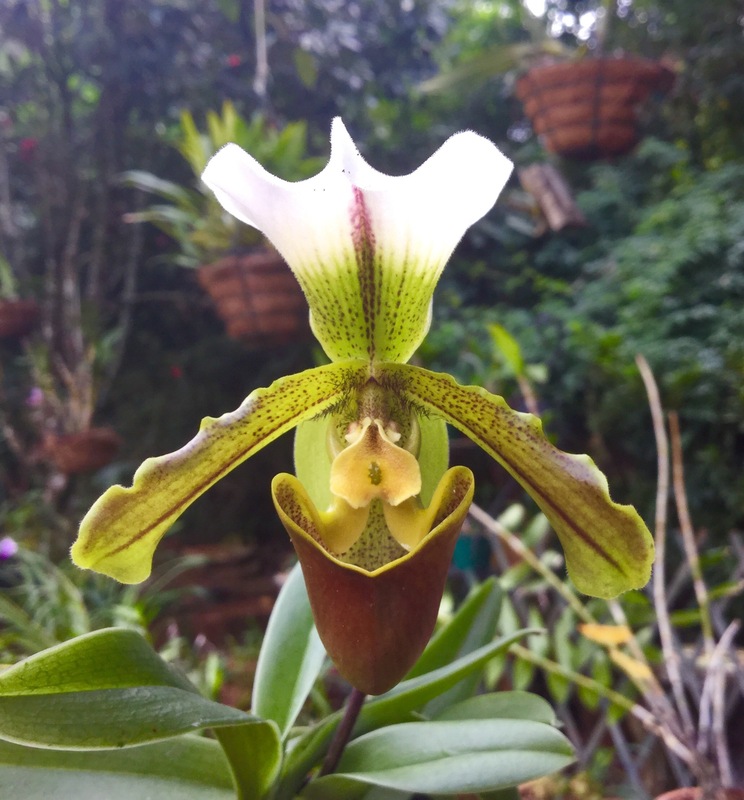 This time of year sees a lot of my orchids in flower. Rather than loads of words this time just a few pictures of some of my plants that are in flower. 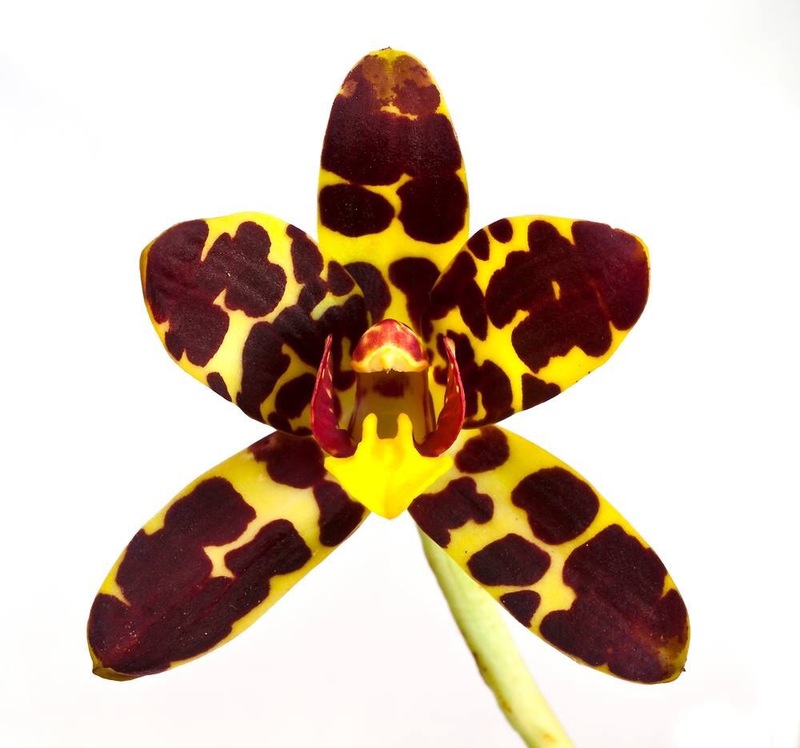 The first, Ansellia africana, the Leopard Orchid, this one showing a lot of West African genetics with the dark spotting. 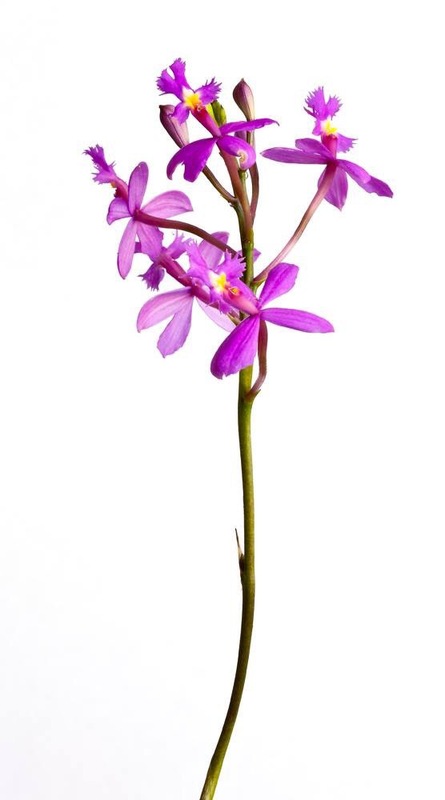 Then a dainty Epidendrum, E radicans. 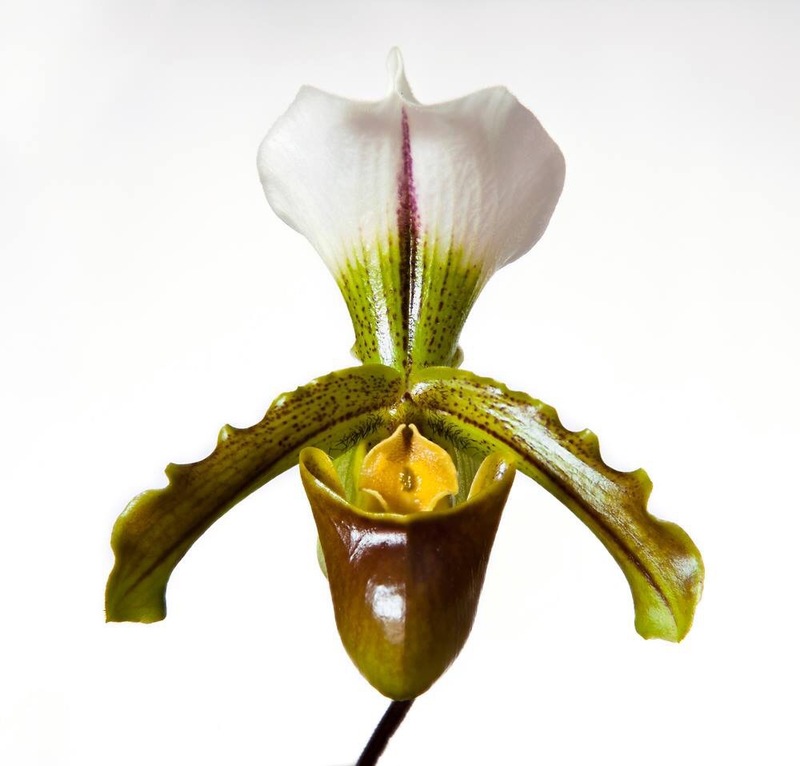 Then we have a very interesting Pahiopedilum, this time P hirsutissimum. 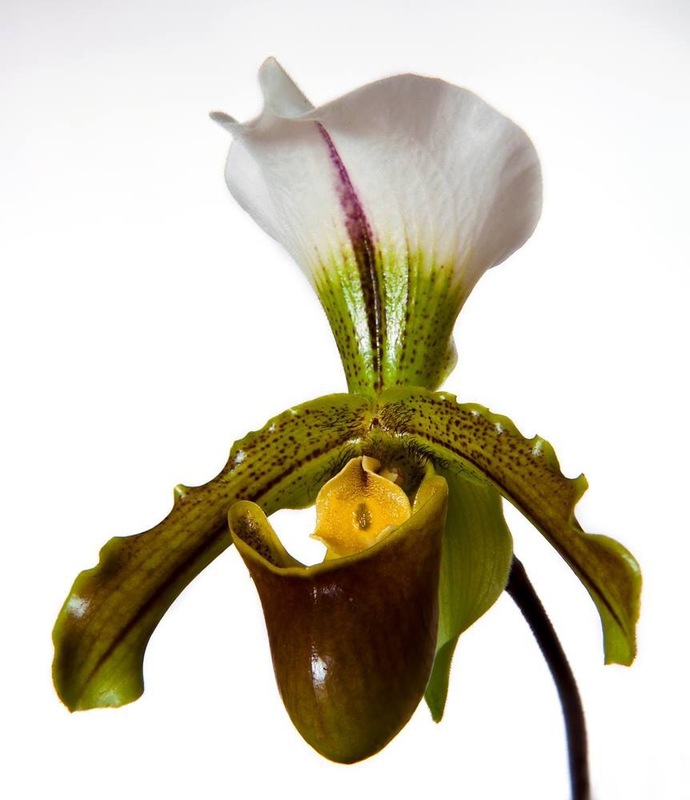 The slipper orchids are very interesting plants. 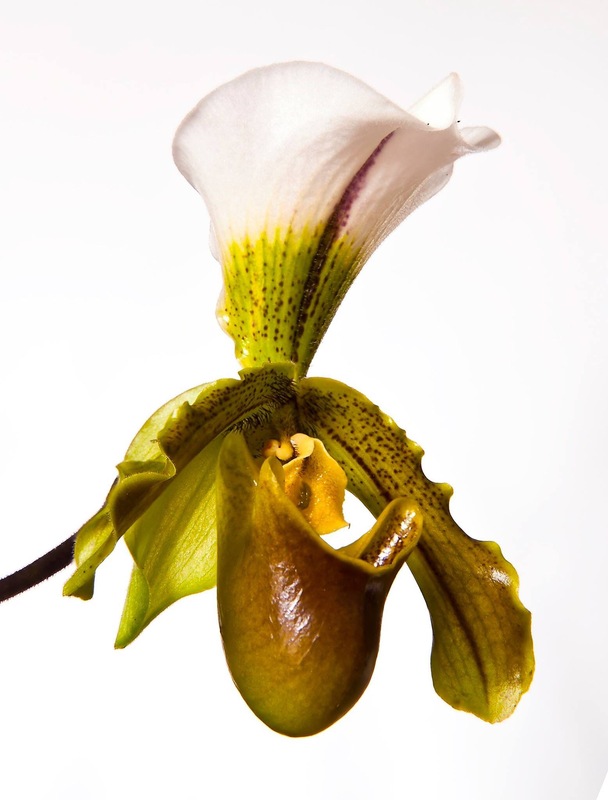 Real oddities with lower petals being fused to form the “slipper”. 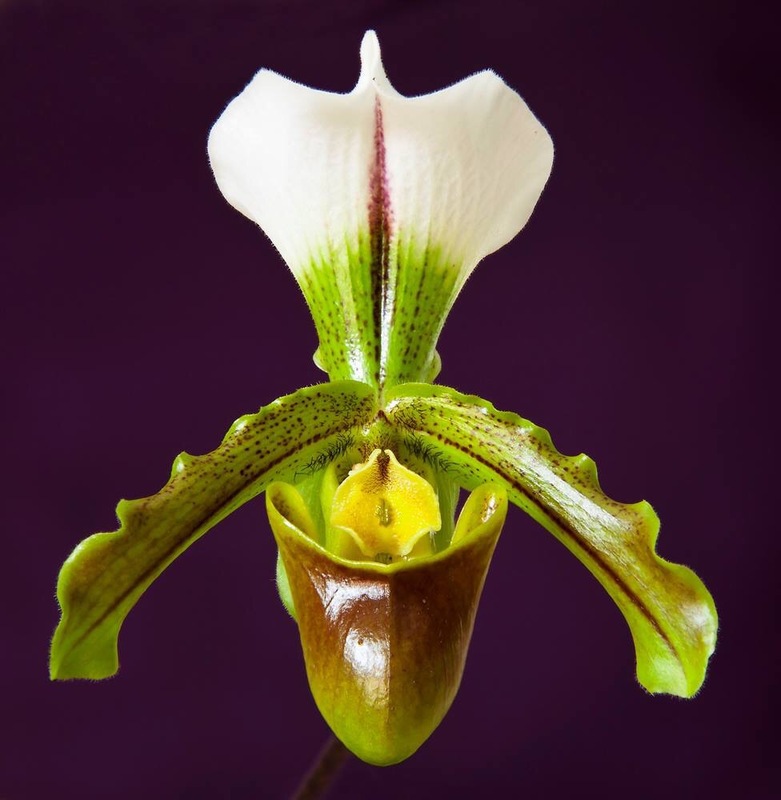 I have a number of slippers and currently have Paphiopedilum Leeanum in flower ( this hybrid is an old cross between Paphiopedilum insigne and Paphiopedilum spiceranum). P Leeanum is easy to grow and this really is a grea hybrid to grow. 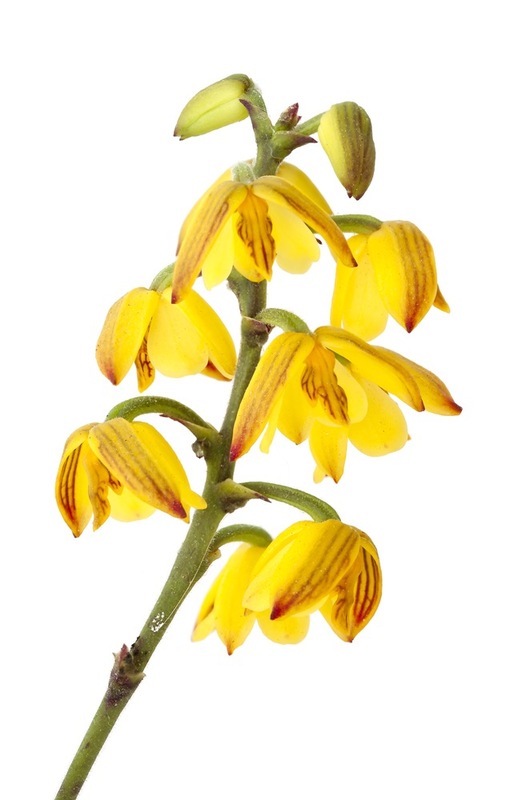 This plant is young with only one flower but more mature plants might see up to ten flowers on a plant. Anyway, no more other than the 100mm f2.8 diaphragm died and somthese were taken with a non L zoom lens. All are four or five stack images combined in Zerene Stacker. 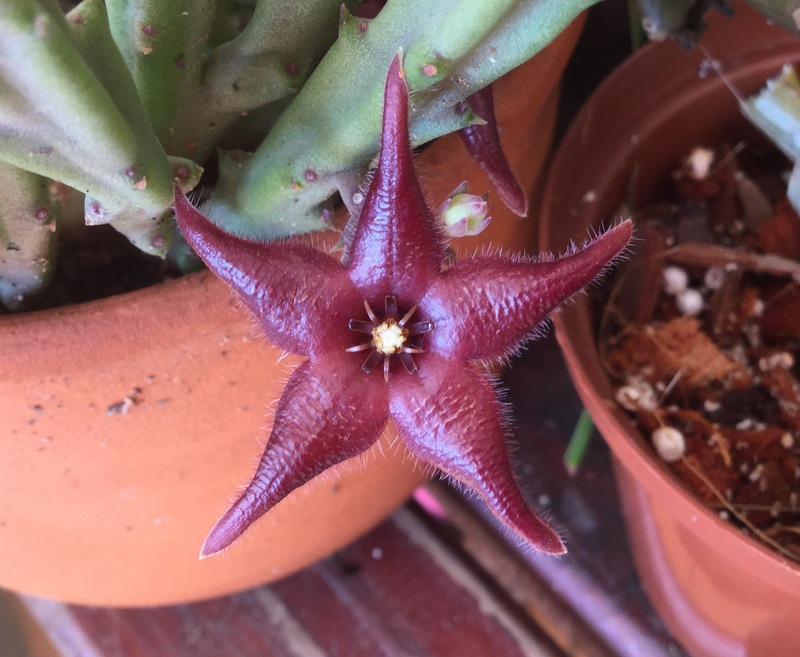 Last week I posted a blog on some recently opened Stapeliads. These are interesting succulent plants from Africa, Arabian Peninsula and India. 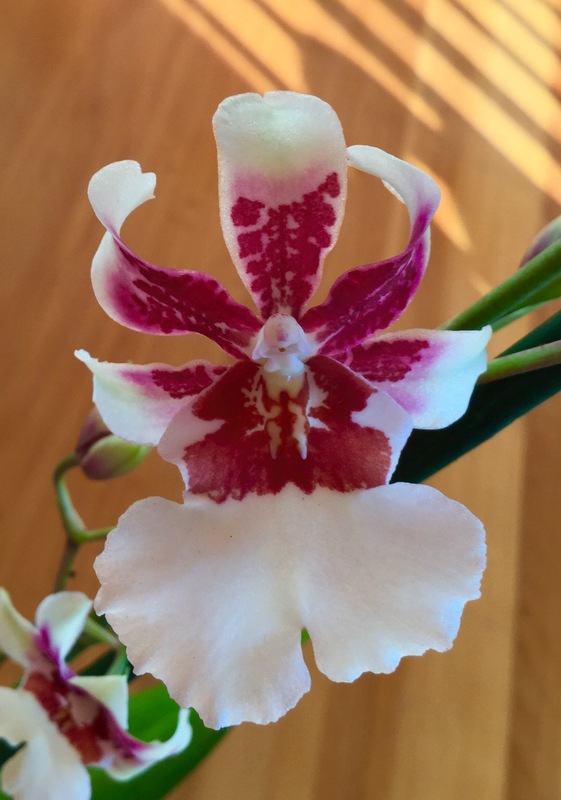 Now it is time to post a few recently opened orchids. No more words just photographs. 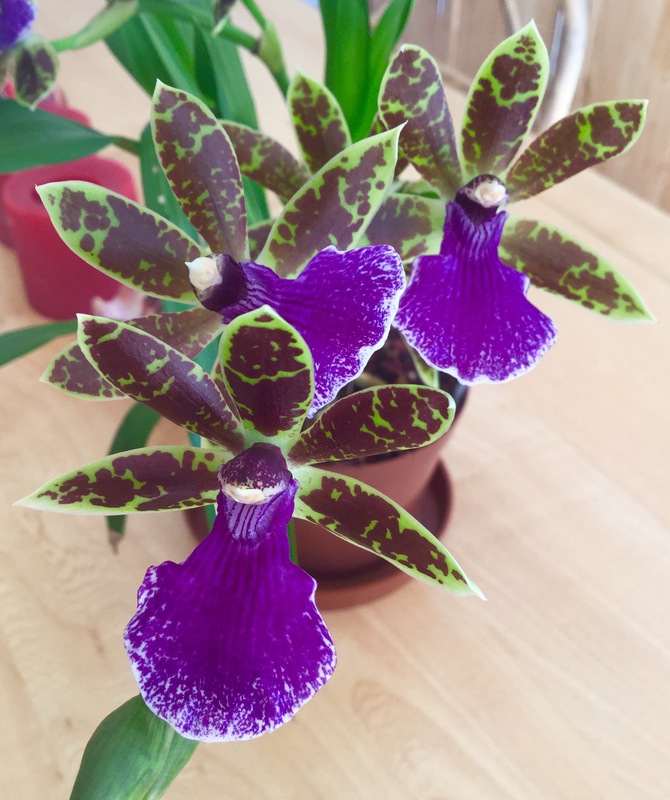 The first is Zygopetalum James Strauss, a rather interesting little plant with lovely flowers. the next is Miltonidium Bartley Schwartz, a rather leggy flower spike but smells lovely. 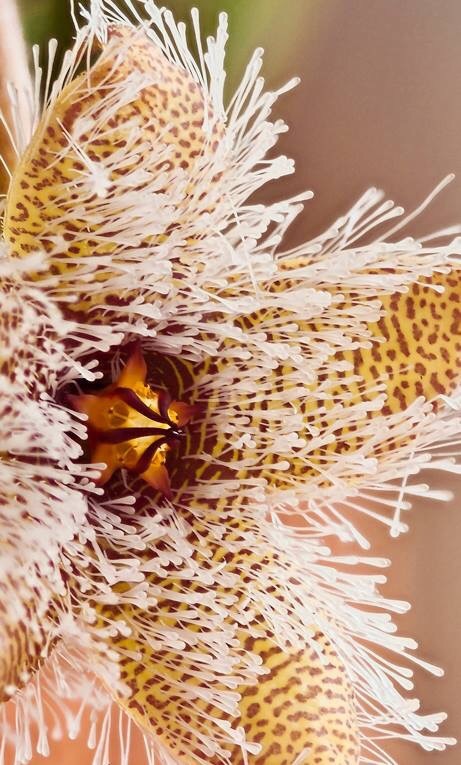 Some more rather unique, odd and beautiful flowers. The last two weeks have seen some interesting plants flower in the garden. A number of Stapeliads that were collected in a garden in Springbok (WC) have flowered (eventually) and we have some orchids popping up flowers as well. 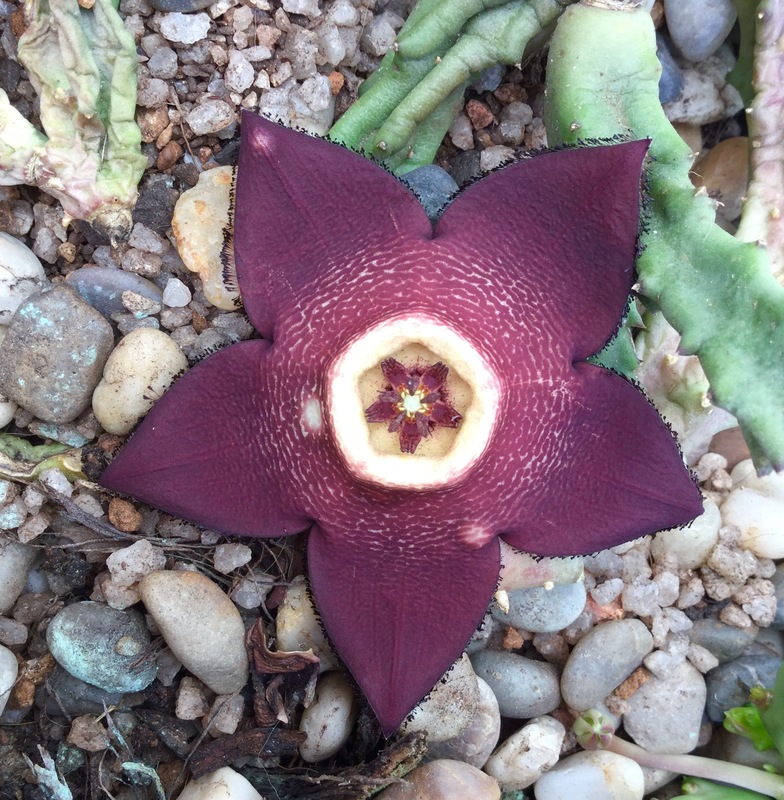 First the Stapeliads, here in the first one, an Orbaea, species unknown but most likely a hybrid. 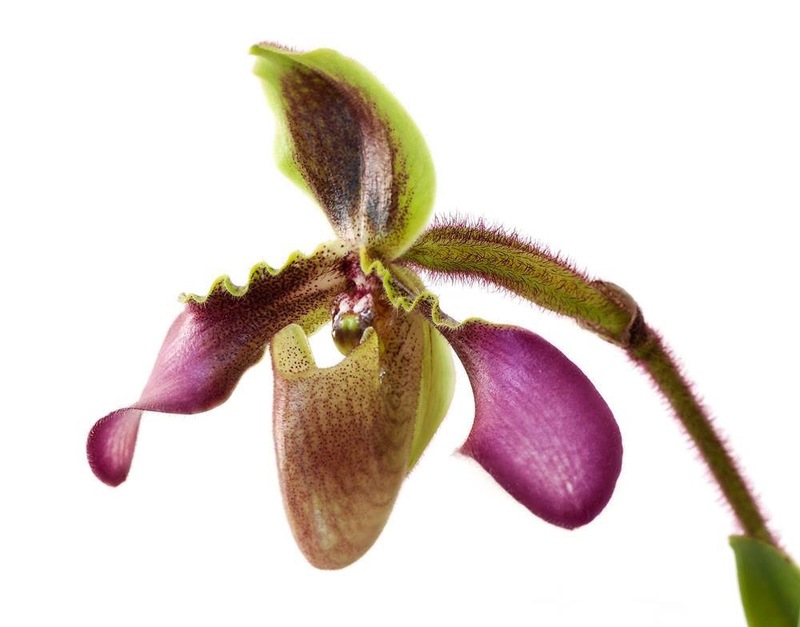 Take a close look at the tiny hairlike structures on the edge of the petal. 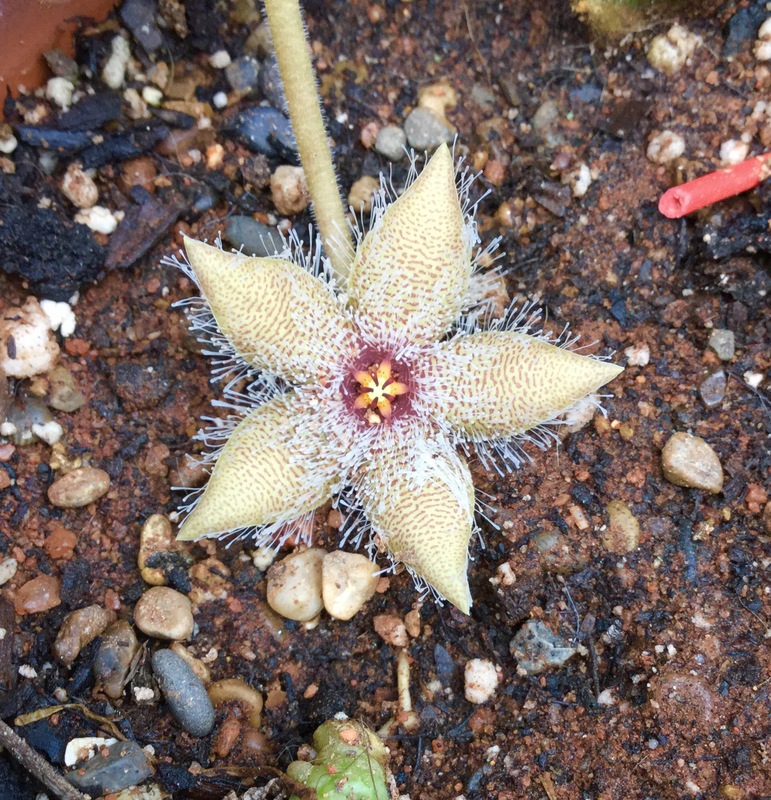 The next is another Stapeliad ided as S asteroidea, or a gracile variant of S hirsuta. Lovely little flower. the orchids will be posted this weekend.